Eventually, event organizers handed the pair a microphone that they used to discuss the issues they saw missing in Bernie’s economic populism — namely, police violence and a focus on systemic racial injustice. As they challenged Bernie and his supporters to prioritize these problems, they were boo’ed down aggressively by a mostly white crowd. 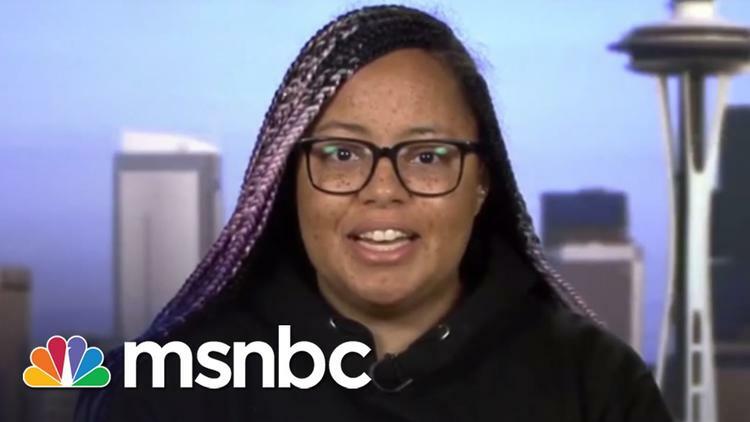 Johnson, Willard and other members of the movement for black lives have continued to face slurs and insults on social media throughout the week, along with accusations of being plants from either the right wing or the Clinton campaign. Was the interruption messy? Yes. Did it warrant the vitriol from white, largely progressive audiences that followed? No. Among many useful perspectives, Van Jones penned five lessons from the uproar for CNN last week. Nation editor Kai Wright offered another helpful rejoinder: “Successful movements have always discomfited those invested in the status quo, including progressives,” he wrote. “White people of all political stripes will be challenged, even shaken by this movement.” By interrupting Sanders, Johnson and Willaford clearly struck a nerve with Sanders’ base. Disruption, as Wright noted, is the lifeblood of social movements. Having been arrested for coordinating a sit-in to desegregate Chicago public schools, it’s a fact Sanders understands better than most. It also means Sanders — and, perhaps more so, his supporters — should know that a history of fighting for equal rights doesn’t inoculate any candidate from a full-throated challenge by today’s movements. Days after she took the stage, Johnson went on the radio show This Week In Blackness. She explained to host Elon James White that, “My gaze is not toward politicians in getting them to do something in particular. I think they will change what they do based off of what I do, but that’s not my center. My center is using electoral politics as a platform.” Given its adoption of “Shut It Down,” as modus operandi, supporters of the movement for black lives should welcome the fact that protesters are throwing a wrench in the presidential election circuit. In the case of Sanders, it’s working. Within 24 hours, Bernie’s campaign released a racial justice platform articulating policy proposals to take on the multi-faceted nature of racist violence: physical, political, legal and economic, where most of Sanders’ energy has been directed thus far. The platform proclaims simply that, “We must pursue policies that transform this country into a nation that affirms the value of its people of color.” Saturday night, he also hired black criminal justice advocate Symone Sanders as press secretary, someone who has been openly critical of the campaign’s silence on racial justice. Even so, the Sanders campaign still has plenty of room for improvement; a web page and a black staffer do not equal a commitment to racial justice. These rules don’t actually change that much when you start talking about politics or log on to Facebook, no matter how progressive your views. You may even be right. It still doesn’t give you license to berate anyone, let alone black organizers with whom you theoretically share a commitment to racial justice. And, if you do share that commitment, denouncing the movement for black lives because it did something that made you uncomfortable probably means you weren’t all that supportive in the first place. At their best, movements are big, complicated hordes of activity. The movement for black lives is no different, and supporting this or any movement — especially as white organizers — means being comfortable with a certain level of discomfort and loss of control, both in terms of the tactics activists are using and the challenges they pose to their targets. For all their messiness, movements make our politics better. Sanders is already a better candidate and should be pushed to be even more accountable to the causes he claims to support. So, if you really want to see Bernie succeed, keep calm, show up, and support the movement for black lives. This article was originally published on Waging Nonviolence and appears here courtesy of a Creative Commons license.